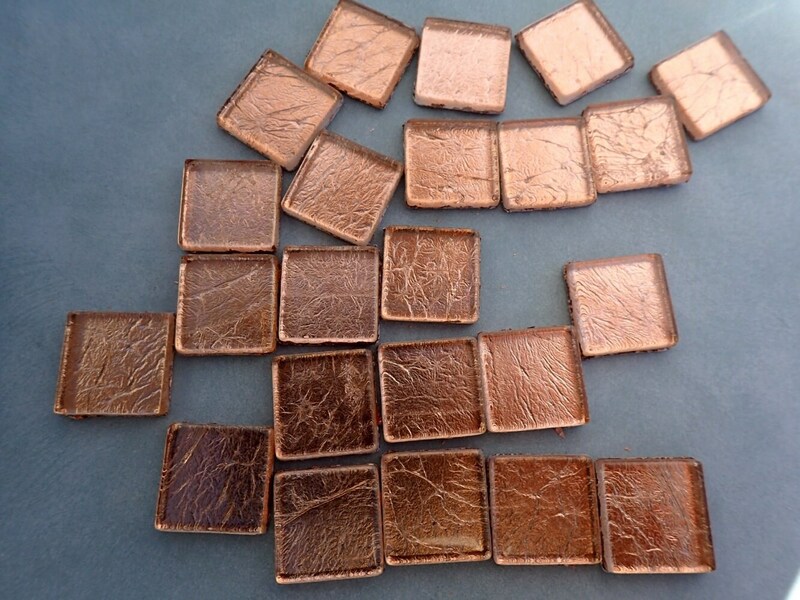 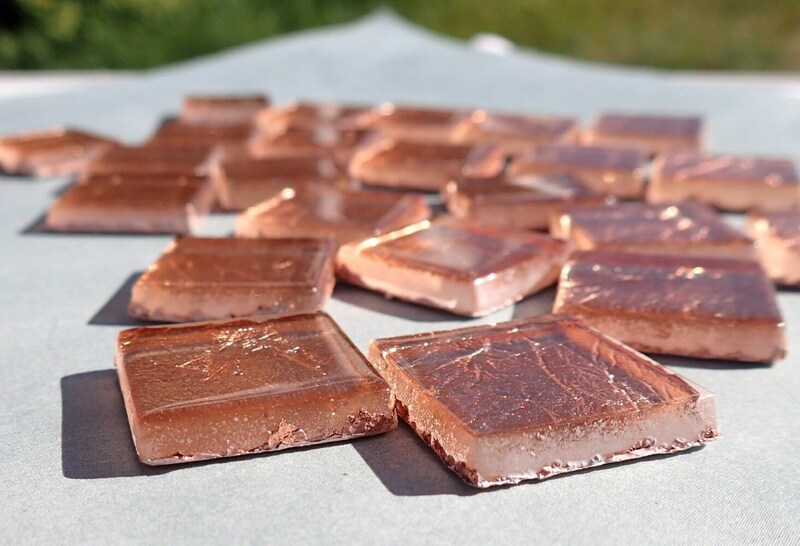 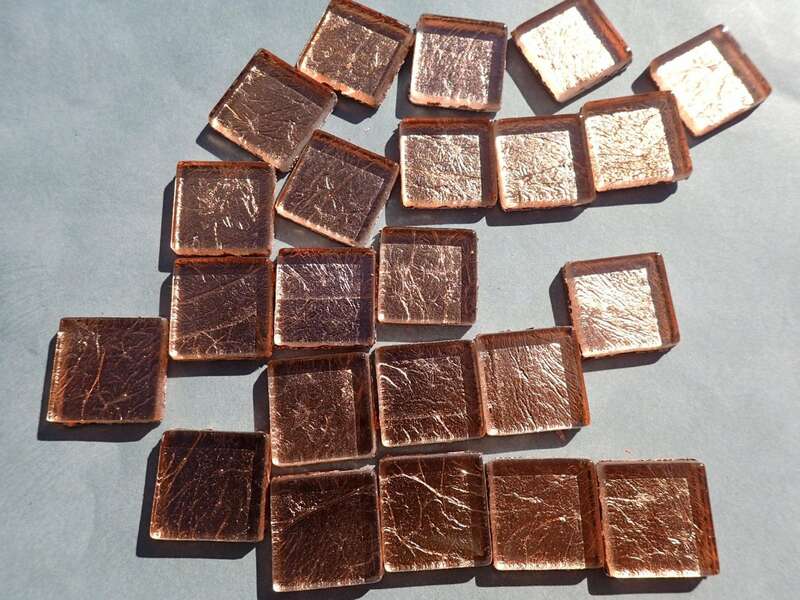 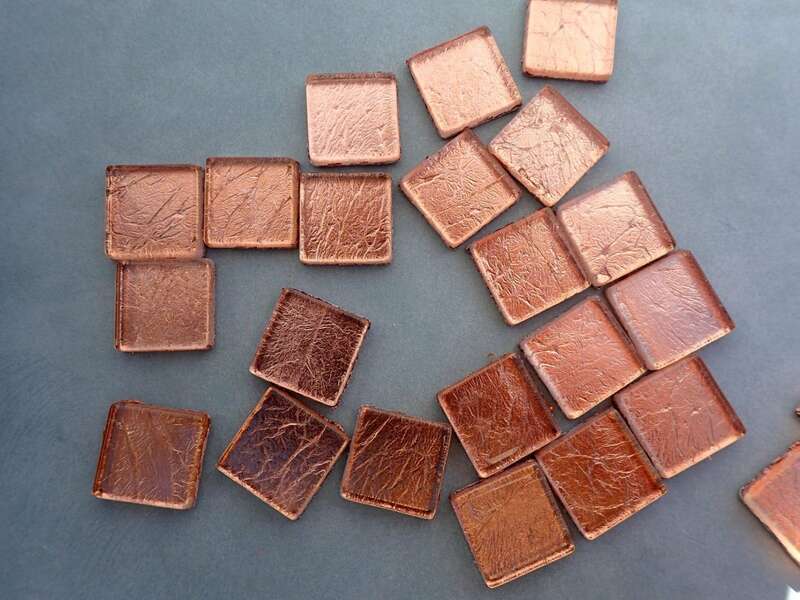 These tiles are in a bright copper color. 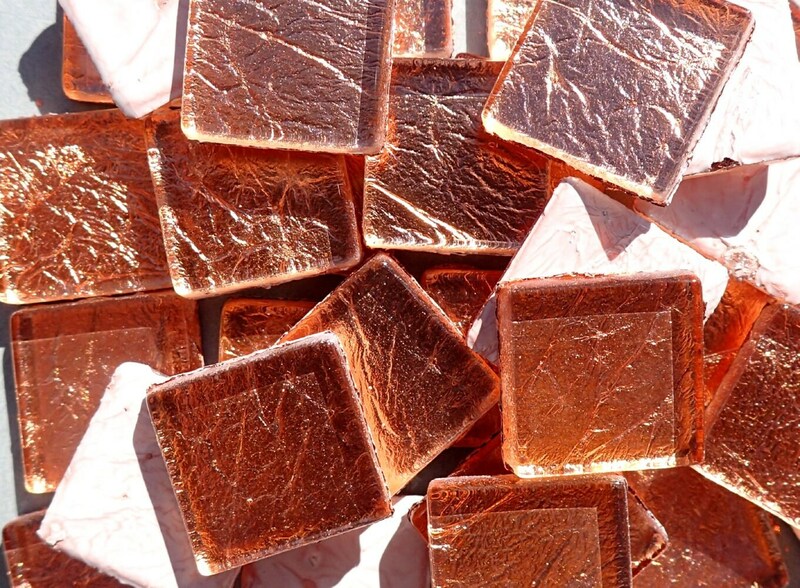 They are the color of a shiny new penny. 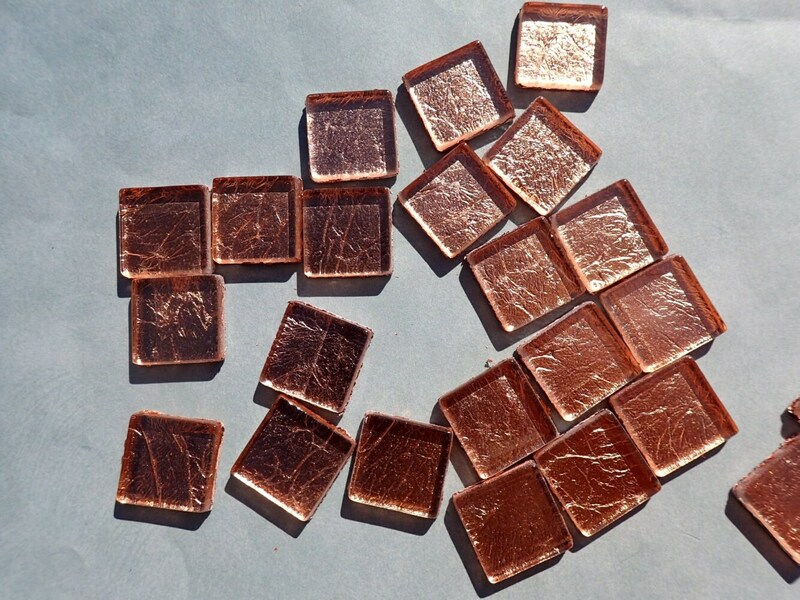 The tops are smooth, with the foil under the glass. 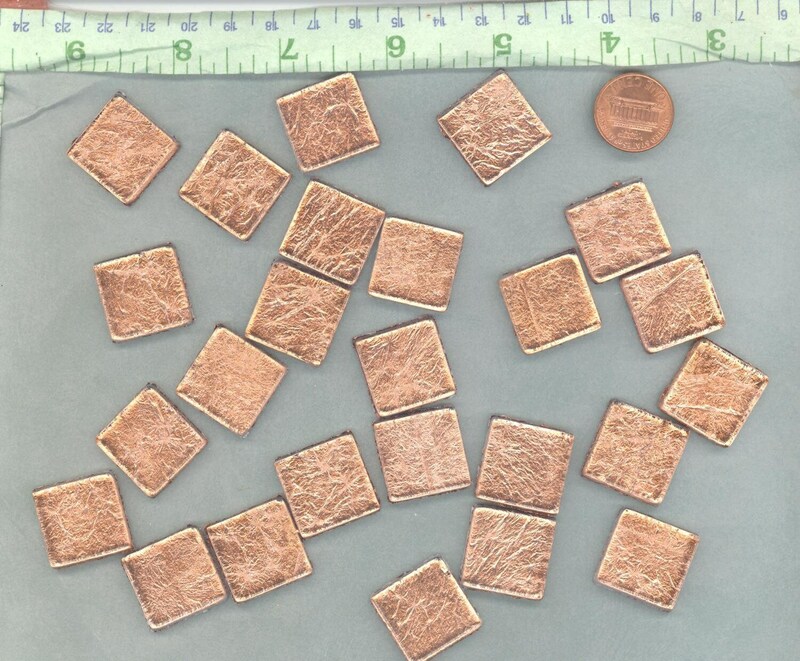 These are 20mm (3/4"), and are 4mm (1/6") thick.